A new videogame called Saudi Girls Revolution is stirring up attention for its' 'edgy' themes. Saudi Girls Revolution is a mobile game application designed by NA3M, whose Chief Executive Director is Saudi Arabian Prince Fahad bin Faisal Al Saud, the grandson of the king's brother. 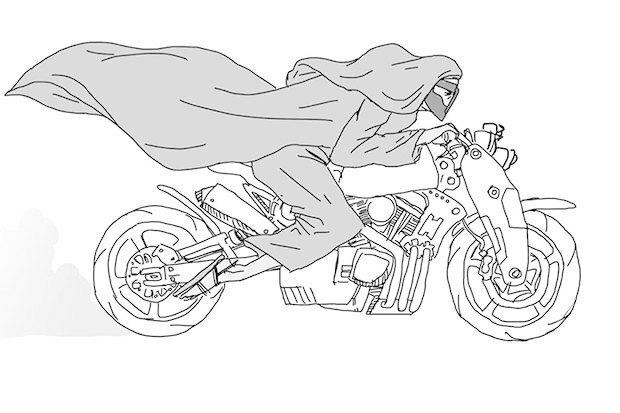 It features eight heroines on motorbikes fighting villains in a corrupt futuristic Arabian lanscape. Each girl has her own complex back story, based on the concept of the “Mu’tazilah,” which is a word with Arabic and Islamic origins which includes a group of archetypes who stand apart or away from traditional society. In Saudi Arabia, women do not have the right to drive IRL. Prince Fahad says he was raised by a family of very strong, independent women and hopes that his project will shift perspectives and impressions of womens' roles in Saudi society, and that girls throughout the region can see parts of themselves reflected in the characters. The game is slated for release sometime late 2015 through Apple Inc. and Google Inc.